Who Was the 'Man Who Won World War II'? 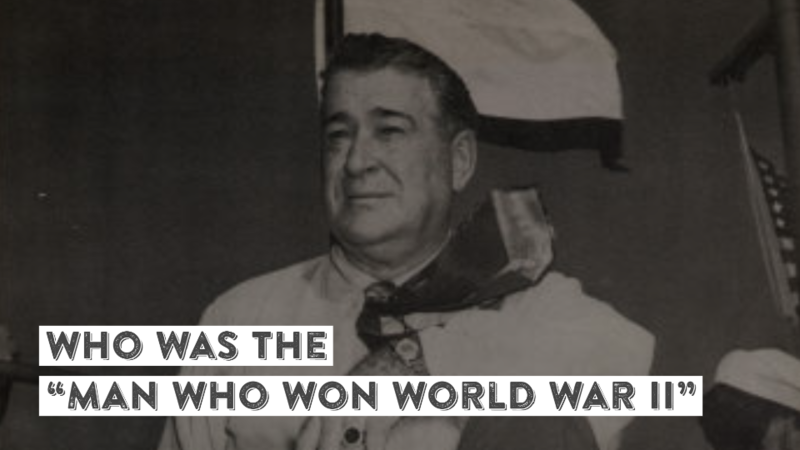 Did you know that the “man who won” World War II was not a soldier or sailor . . . but a boat builder? Andrew Jackson Higgins was born in land-locked Nebraska, but during Prohibition he built shallow-draft, very fast wooden boats. When Prohibition ended, he entered speed boat racing, setting a world record with his Dixie Greyhound. The United States Marine Corps approached him during the Great Depression about building a landing craft—which he did. It was flat bottomed, but men still had to crawl over the sides to disembark. General Victor “Brute” Krulak asked if Higgins could add a “lip” on the front that would drop down allowing men to run straight onto the beach. Higgins obliged. He also ensured that the craft had a powerful reverse gear to ensure they could get off the beach. The result was the famous “Higgins boat,” or landing craft that was the mainstay of the North African, Sicilian, Italian, Normandy invasions in the European theater, and in all of the Pacific island invasions. Indeed, one reason the D-Day landings at Normandy couldn’t occur sooner was the insufficient number of Higgins boats. Eisenhower’s comment that Higgins was “the man who won the war” meant that Ike thought that without the Higgins boats, it would have been impossible to defeat the Japanese and the Germans. For further reading, see John Heitmann, “The Man Who Won the War: Andrew Jackson Higgins,” Louisiana History, 34 (1993).